Years ago, during my first visit to the Metropolitan Museum of Art in New York City, I went directly to the Arms and Armor exhibit. Not because I have a particular interest in armor, but because it’s the room in which Claudia and Jamie hide in E.L. Konigsburg’s most well-known novel, From the Mixed-Up Files of Mrs. Basil E. Frankweiler. Like many museum visitors before me, I peeked into the knight’s armor, hoping that Claudia or Jamie would be looking back at me. 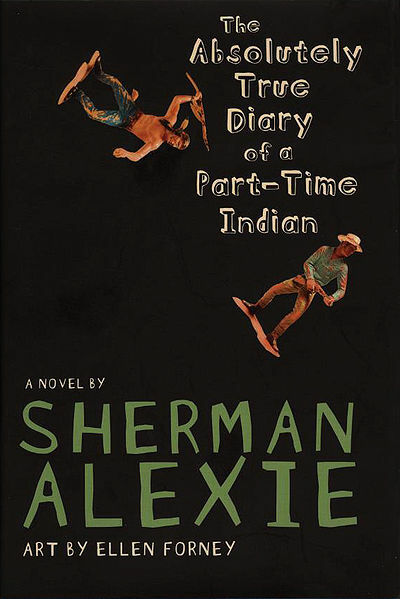 Somewhat strangely, I associate From the Mixed-Up Files with The Catcher in the Rye. I think it’s because they were among the first “New York City novels” I read. When, as a teenager, I read about Holden waiting for Phoebe on the stairs at the entrance to the Metropolitan Museum of Art, my reference point was Claudia and Jamie. I felt like I knew those stairs long before I saw them. The Museum was the first thing that came to mind this morning when I read the news that Konigsburg died last week at the age of 83. Konigsburg was a smart writer. Today’s New York Times obituary quotes Horn Book editor, Roger Sutton’s review of Silent to the Bone: Mrs. Konigsburg is “one of our brainiest writers for young people, not only in the considerable cerebral powers she brings to her books but in the intellectual demands she makes on her characters.” Sutton’s comment is exactly why I look forward to reading Konigsburg’s novels with students. They are completely original. Reading The Outcasts of 19 Schuyler Place with a group of 6th grade students led us into discussions of how to define beauty, what it means to be an individual, and the risks of conformity. Two years ago, I read The View From Saturday with a different group and, as a class, we fell in love with Mrs. Olinski and her Academic Bowl team. Some of the most rewarding moments I’ve had as a literature teacher have been while talking about Konigsburg’s novels. Undoubtedly, young people will be reading her books for years to come, but still, a literary light went out today. I love working with kids and books. Sometimes, I’ll be in a conversation with a student about a book and it will occur to me that “this” is my job, and I feel like the luckiest person in the whole world. There was a moment this past week when I had that feeling. 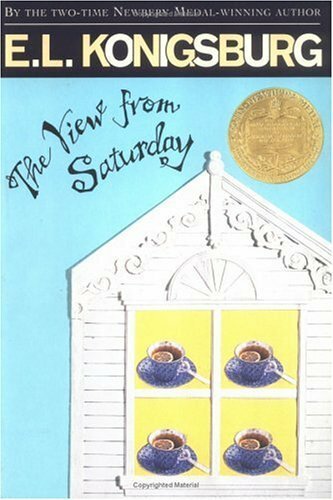 I was talking with a group of sixth-grade students about The View from Saturday, a novel by E.L. Konigsburg. My students had finished reading it, and they were talking about how all of the book’s pieces fit together. They were so excited that they were talking over each other in a mad rush to get it all out! It occurred to me that the joy they were experiencing came from nothing more than words on a page. I’ve pictured the looks on their faces all week and know it will be one of those treasured memories I “replay” many times during the years ahead.